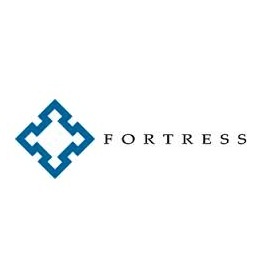 Fortress Investment Group LLC (FIG) has announced the appointment of two senior foreign exchange standouts, including Citigroup’s recently outgoing Jeffrey Feig and Deutsche Bank’s Christopher Fahy, according to a Fortress statement. The moves come at a time when there is a large upheaval in the institutional Forex industry – the Experts site covered Mr. Feig’s decision to leave Citigroup as recently as yesterday, though it has now become clear why the former FX Chief chose to part ways with the banking giant. In his new role, Mr. Feig will serve as the Co-President of Fortress’s Liquid Markets business and Co-Chief Investment Officer of the Fortress Macro Fund. According to Stu Bohart, Co-President of Fortress’s Liquid Markets Unit, in the statement on the appointment, “Feig’s expertise in global markets is an ideal fit for the Macro Fund and his experience with investors will be invaluable.” Mr. Feig will stay with Citigroup through the end of June, according to Citigroup spokeswoman, Danielle Romero-Apsilos – his decision to leave the bank was voluntary in nature. He will join Fortress at an unknown date during the second half of 2014. In addition, Fortress will gain the services of Christopher Fahy, who brings with him experience as a currency trader from Deutsche Bank AG. He will be responsible for managing and overseeing a staggering $7.7 billion in Fortress’ liquid markets business. These moves defy the industry norm, at a time when several executives are leaving via suspensions or firings, amidst a lingering string of global Forex probes that allege scandal, fraud and market manipulation.